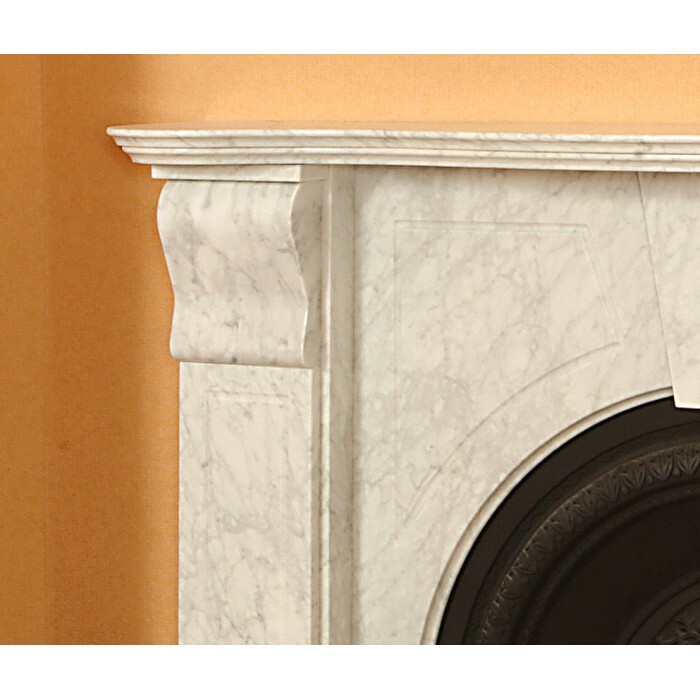 This impressive fireplace features traditional carved Victorian arched infill, solid block or reeded corbels and a double moulded mantlepiece. 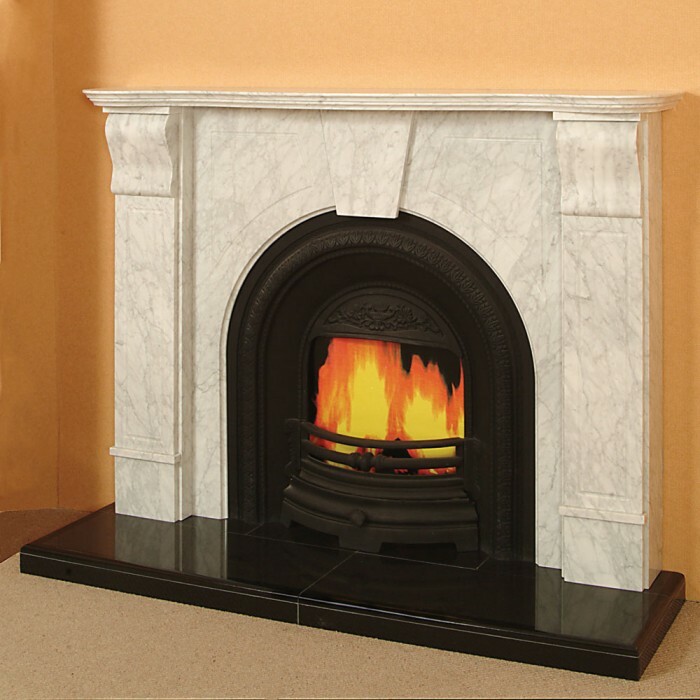 Shown here in Bianco Carrara Marble on a black Granite hearth, this fireplace is available in other colours and is suitable for most room sizes. Available Sizes: Width: 50" - 66" Height: 45"- 48"